The Cauca CSV is located in the northwest of Popayán, capital city of Cauca Department. 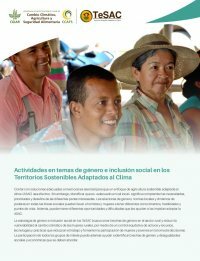 The communities of these villages have been strengthened and empowered by the Association of Community Action Boards (JAC in Spanish) which seeks mechanisms to generate sustainability and improve the communities’ livelihoods. These communities face challenges such as the impacts of climate change and variability, with its associated impacts on productivity and yield, problems with access to water sources, and soil degradation, among others. These communities show great enthusiasm to make their land productive, although, as they say, “the weather is not like before.” But, they have a strong desire that their children and grandchildren continue to live there. This is the main reason why they work hard to address challenges related to weather but also in relation to the social, economic, and political context of the country. 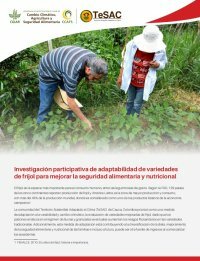 Participatory research on adaptability of bean varieties to improve food and nutrition security: The community of Cauca climate-smart village (CSV), prioritized the evaluation of improved varieties of beans as a measure of adaptation to variability and climate change, given that erratic patterns of rainfall and occasional hailstorms increase phytosanitary risks in traditional varieties. 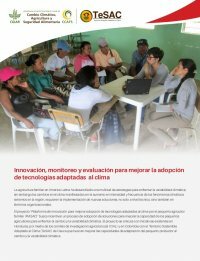 In addition, this climate-smart practice is contributing to diet diversification, improvement of families’ food and nutritional security, and can even be another future income source as surpluses are commercialized. Learn more. smallholder farmers to adapt to climate change and variability. Learn more. 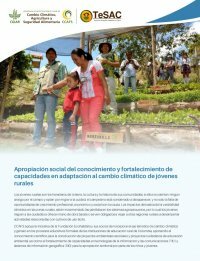 applied on their farms and elaborated their local plans for adaptation to climate change and variability, considering the implementation roles of each family member. Learn more. women’s vulnerability to climate change, through equal control of assets and resources, technologies and practices that reduce labor and encourage the participation of women and youth in decision-making. The participation of all stakeholders can also help to identify gender gaps and social and economic inequalities to be addressed. Learn more. information on GHG emissions from agriculture in tropical countries. 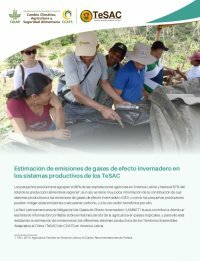 Moreover, LAMNET will focus on estimating GHG emissions from different production systems of the CCAFS’ climate-smart villages (CSVs) in Latin America. Learn more. external stakeholders. Therefore, it is crucial to understand the different perceptions between actors in the agricultural sector and farmers, who are the ones who know their territory, and at the end, are the ones that will implement these measures. 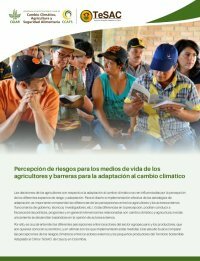 This study seeks to compare perceptions of climate risks between external stakeholders and smallholder farmers in the Cauca CSV, in Colombia. Learn more. Social appropriation of knowledge and capacity building in adaptation to climate change of rural youth: CCAFS supports the initiative of Fundación Ecohabitats and its partners to incorporate the theme of climate change and gender into the formal educational processes of rural education institutions in Colombia, providing scientific knowledge for the construction of school environmental projects, as well as the strengthening of capacities in information and communication technologies (ICT) and geographic information systems (GIS) for a territorial appropriation by the children and young people of the community. Learn more. 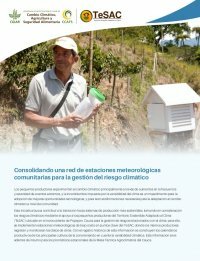 Consolidating a network of community meteorological stations for climate risk management: This initiative seeks to contribute to the transition towards more sustainable production systems, taking into account the climatic risks by supporting farmers of the Cauca climate-smart village (CSV) with the management of risks related to climate. To this end, low-cost meteorological stations are installed at key locations within the CSV, where producers themselves record and monitor climate data. With the historical record of this information, the productive calendars of the main crops of the zone are developed taking into account the climatic variability. 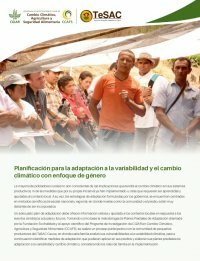 This information also serves as an input for the seasonal forecasts of the Cauca’s Local Agro-climatic Committee. Learn more. Agropecuaria Industrial y Comercial El Danubio (farmers’s association), Asociación de Mujeres Campesinas de Los Cerrillos (women’s association), and Village’s Daycare.